These earrings have stunning cut crystals suspended from a sterling lever back ear wire. The picture illustrates a pair of matched crystals reflecting different wave lengths of purple and pink light. The ear wire has a flower on the front and a secure closure on the back. 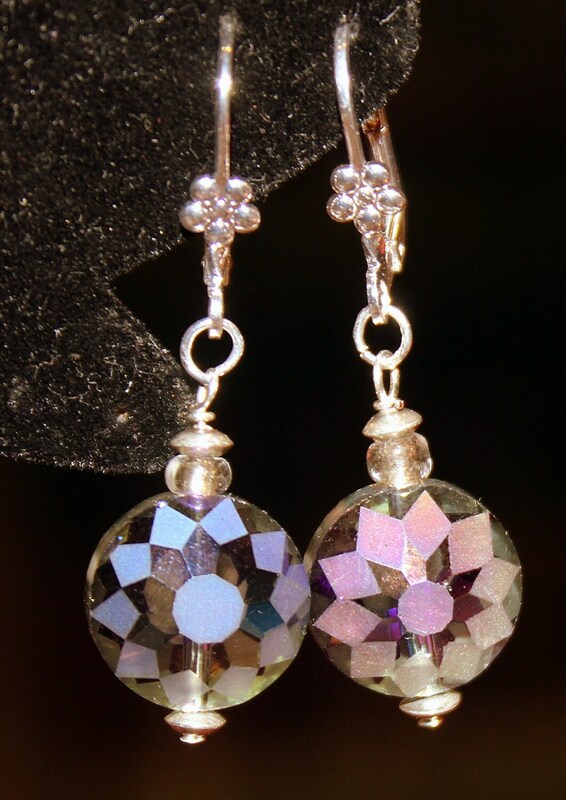 The crystals measure @ 1/2 " wide by 3/4 " long and the earring is 1 1/2 " long. They can be elegant or classy chic. As with all my pieces, the workmanship on these earrings is guaranteed for one year from the date of purchase. Thank you for stopping by my Etsy shop … enjoy and I hope you visit often!